Summary: Pendant is very important for necklace. So designing your own necklace pendant can make your necklace unique. Next, we will tell you how to make pendants. How to make pendants? Actually, it can be easy to make a beautiful pendant. 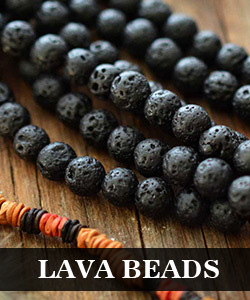 You can see many beautiful necklaces are with nice pendants. So design your own necklace pendant and then add a chain to make a gorgeous necklace. You can get a pendant if you follow our steps. Step1: String 12 glass seed beads and cross through the first one marked red for getting a loop. Step2: String 3 glass seed beads and thread the wire through the third seed bead of the first loop and then out. Then continue stringing in the same way until reach the start bead. And thread the wire through the upper seed beads as shown in picture. 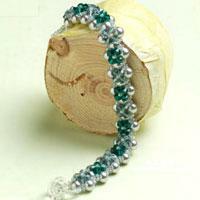 Step3: Continue stringing glass seed beads as shown in the picture below. Step4: String clear transparent seed beads three as a group in the way as picture shown. Step5: Then string glass seed beads five as a group to the clear transparent seed beads of the newly- added loop. Thread the wire through the seed beads as the dotted line shown in the picture. Done! So you get a beautiful pendant. And now you know how to make pendants. And you can use Swarovski crystal beads to make. It would be more beautiful. Hope you can design your necklace pendant through this article.